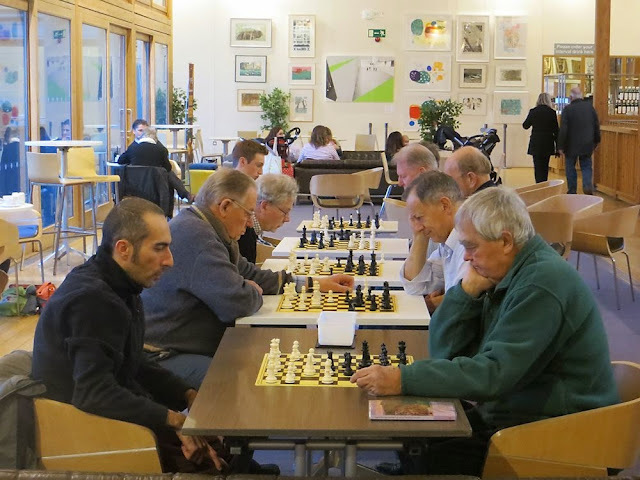 The Tuesday chess club at the Apex in Bury St Edmunds is still going strong. Today ten members attended, and weekly numbers have been as high as 14. The Club is free of charge and you can park your car in the adjacent car park after 3 pm without having to pay. The Club meets from 3.30 to 5.30.